The vector stencils library Shipping and Receiving contains shapes of equipment for ConceptDraw DIAGRAM diagramming and vector drawing software. Use it to draw plant interior design floor plans, shipping and receiving equipment layouts. This design elements library is included in Plant Layout Plans solution from Building Plans area of ConceptDraw Solution Park. Solution Building Plans from ConceptDraw Solution Park provides vector stencils libraries with design elements for drawing plant layout plans. Use ConceptDraw DIAGRAM diagramming and vector drawing software enhanced with Building Plans solution to draw your own plant layouts for production, storage, distribution, transport, shipping and receiving of manufactured goods. A family evening in a restaurant can be just charming, the problem is to find a one. If you spend an extra day to create a good restaurant floor plan, that will surely brings more clients. By the time your restaurant gets more popular, don’t forget about the quality of service. The restaurant floor plan you see on this page was made with ConceptDraw DIAGRAM v12 in accompanied with Cafe and Restaurant Plans solution. It introduces facilities of the solution and demonstrates the results, you can obtain if you deploy ConceptDraw tools for generating floor plans and interior designs for cafe, restaurants or other catering establishments. A little less than three hundred vector objects, and a set of built-in templates and a set of examples will maintain your creativeness. Design of any premises includes many stages and variety of plans. Ceiling plans are also included in this number. Reflected Ceiling Plans Solution from the Building Plans Area for ConceptDraw DIAGRAM v12 software will help you represent and realize any of your ceiling ideas for living room. Food courts are one of the most rapidly developing areas of the restaurant business. ConceptDraw DIAGRAM v12 diagramming and vector drawing software offers a Food Court solution from the Food and Beverage area with wide capabilities for planning, design, developing and advertising of a Food Court. The vector stencils library Watercraft contains clipart of ships, boats, yachts, submarines for ConceptDraw DIAGRAM v12 diagramming and vector drawing software. 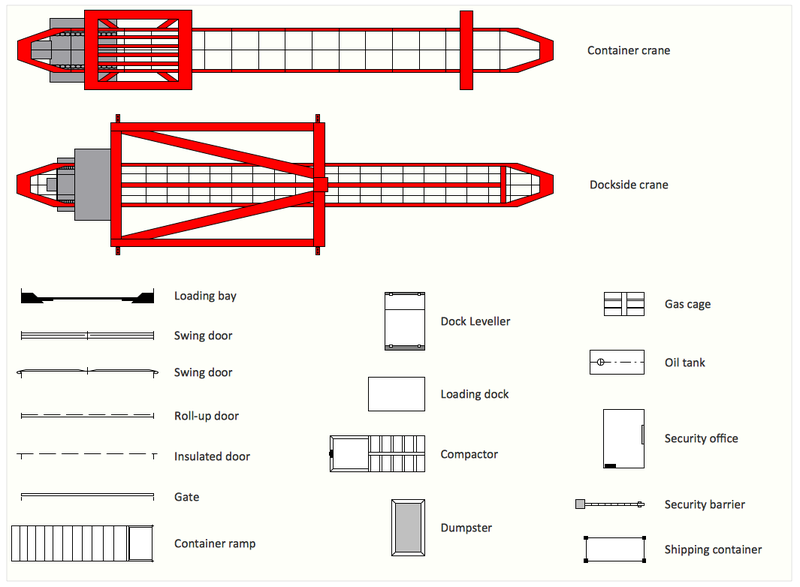 Use it to draw illustrations of vessels and water transport over a sea, ocean, lake, canal, river.